The Graduate School offers a stimulating environment for you if you wish to obtain a doctoral degree with the highest possible value for your career. You will have the opportunity to immerse in high-impact research projects across a variety of disciplines and to benefit from close interactions with world-class researchers and teachers. Are you the brilliant engineer we are looking for? Not one single day passes without being in close contact with the research area of our Faculty of Civil Engineering and Geosciences. Catching a train or car, crossing a bridge, taking a shower or flushing the toilet, or just watching safely the sea behind the dykes, are common daily activities for which a sound civil infrastructure is indispensable. In a rapidly changing world our demand to our infrastructure is drastically changing meanwhile it receives our blind trust! To sustain our societal comfort we need to understand how our climate is changing and what are the impacts so we can anticipate on due time. Energy supply without greenhouse gas emissions and resource recycling will become panacea in our future world. Brilliant engineers and scientists, like you!, are challenged to contribute to develop our future, sustaining our societal comfort as we know it. Unveiling the future necessities, pinpointing the knowledge gaps, managing your own research, unravelling engineering complexities, delivering high-quality results, and being in contact with practitioners, is a PhD life at our faculty. You will be trained being a world-class professional in science and engineering of societal relevance. We offer up to date high quality research facilities as well making use of abundant satellite data. Equipped with high-level personal skills you will hold a key position after your graduation. This is what society expects from you when you leave us again, and this is what we offer in your PhD trajectory. If you are challenged by what we are offering then we hope to welcome you soon as PhD candidate in our midst. 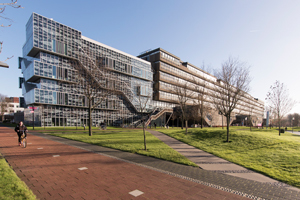 For those who have already started a PhD position at the Faculty of CEG: please visit for more information the intranet website of the CEG Graduate School.